Ms. Subashini Pathmanathan was educated at the Government College for Women, Chandigarh and graduated from the Punjab University . She also did the post graduation. She was trained by the late Padmashree Vazuvoor Ramiahpillai in Classical Bharatha Natyam. She was a Gurukula student and Vazhuvor Ramiahpillai conferred on her the title "Nattyakalasihamani". She is a well known writer and has authored three books on Bharatha Natyam, which have been widely acclaimed. She regularly writes to local and foreign journals. In 1991 she won the Esmond Wickramasinghe award. Subashini has been teaching at the Swami Vivekananda Cultural Centre since the inception and has presented many classical recitals. Kalasuri Vasugi Jegatheeswaran, started her training in Bharatha Natyam at the age of three from her mother. There after she graduated in India under the tutelage of Tanjore Smt. Jegathambal, Padmasri Adyar K Lakshmanan, Smt. Shantha Dananjayan and Kalaimamani Shri S. K. Rajaratnampillai. On completion of training she obtained the title of "Bharatha Choodamani" and the Diploma in Dancing and Natuvangam. She did her arangetram in 1976. Vasugi has performed in many venues both local and foreign. She performed at the SAARC conference in Dhaka, Bangaladesh in 1985, at Expo 86 in Vancouver , Canada and at the Sixth International Tamil Conference in Kuala Lumpur , Malaysia. She has also performed in cities such as Calgary , Toronto , Madras and Bangalore . During a span of more than 27 years in this field, she has produced many ballets. Kalasuri Vasugi Jegatheeswaran is now training many students at her own Institute, Natya Kala Mandir, Sarasavipaya and at Holy Family Convent, Colombo. She has also served in the Dance Drama Panel of the Arts Council of Sri Lanka. She conduct Bharatha Natyam classes each two days per week. The course begins with lessons in the basic dance steps and on completion students are taught in accordance with the traditional Bharatha Natyam marga (format). Vasugi Jegatheeswaran has been teaching at the Centre since 2005. Kalasuri Arunthathy Sri Ranganathan a senior Broadcaster, Musician, Composer and choreographer of International repute. She was the former Director Tamil service of the Sri Lanka Broadcasting Corporation. Presently Visiting Lecturer at the Department of Aesthetic Studies of Kelaniya University , Consultant for Shakthi TV. Programmes and Teacher at the Swami Vivekananda Cultural Centre. She has been teaching at the Centre since 1999. Mrs. Ranganathan is also a member of the International Jury for voice of Asia contest in Kazhakstan and Shanghai Asia Music festival in China , annually. Being recipient of several National and Internal awards she has travelled round the globe as cultural ambassador of Sri Lanka and performed in many parts of the world. Mr.Brezil Nagodavithana, completed his MA in Hindi at the Shivaji University, Kolahapur, India and at present Lecturer in Hindi at the University of Sambragamuwa. Ms.Athila Kothalawala, completed her Residential Research Diploma in Hindi (500 course) at the Kendiriya Hindi Sansthan, Agra, Visharad in Hindi from Dakshina Bharath Hindi Prachar Sabah, Madras and B.A in Hindi from the University of Kelaniya . Ms. Chandima Chandrasinghe, completed her B.A special degree in Hindi at the Kelaniya University and Diploma in Hindi language at Kendiriya Hindi Sansthan, Agra. At present working as temporary lecturer in Hindi at the University of Kelaniya. Ms.Nadheera Shewanthi, completed Higher Diploma in Hindi at the Kendiriya Hindi Sansthan, Agra, Visharad in Hindi from Dakshina Bharath Hindi Prachar Sabah, Madras and B.A in Hindi from the University of Kelaniya . Ms. Moksha Samarasooriya, who received her Kathak dance training at Bathkande College of Hindustani Music Govt. of U.P, Lucknow , India. She conducts Kathak classes two days per week. The course begins with lessons in the basic dance steps and on completion students are taught in accordance with the traditional Kathak marga (format). Ms.Moksha has been teaching Kathak at the Centre since 2005. Dr. Nirmala Kumari Rodrigo learnt Sitar for 11 years from 1973 - 1984 at the Bathkande College of Music Lucknow and the Beneras Hindu University in India . There she obtained her Doctorate in the field of music, Vadya Visharad, Sangeet Visharad and vadya Nipun respectively. She received her training in Sitar and Vocal music from Shri Naveen Chandra Pant, Ustad Ilyas Khan, Prof. K.C.Gangarade, Prof. Premsingh Kinot and Sri Lele. She is currently a senior lecturer at the Institute of Aesthetic Studies , university of Kelaniya and a super grade artist in Sitar and Vocal Music at the Sri Lanka Broad casting Corporation. She has held many solo concerts in Sri Lanka , India and Europe . Dr. Nirmala Kumari Rodrigo has been teaching sitar at the Centre since 1999. Visharad S.W.Randoowa is a renowned Tabla player. He has served as a visiting lecturer at the University of Kelaniya and also as an instructor of music for the teachers at the Department of Education. Mr. S.W.Randoowa has been honoured with "Kala Bhooshan" award by the Ministry of Cultural Affairs in 1999. Being a super grade artiste in both Sri Lanka Rupavahini Corporation & Sri Lanka Broadcasting Corporation he has accompanied a number of artistes from India . Mr. Randoowa has been teaching tabla at the Centre since 2000. Visharad Somasiri Illesinghe a renowned violinist who obtained his Visharadha degree from the Bhatkande University , Lucknow , India . He has learnt violin under eminent Seniyagarana Prof.G.N.Gowswamy. Mr. Illesinghe has served in the Sri Lanka Broad Casting corporation from 1966 to 1982 and at the Sri Lanka Rupavahini Corporation from 1982 to 1999 and retired as the Director of Music. 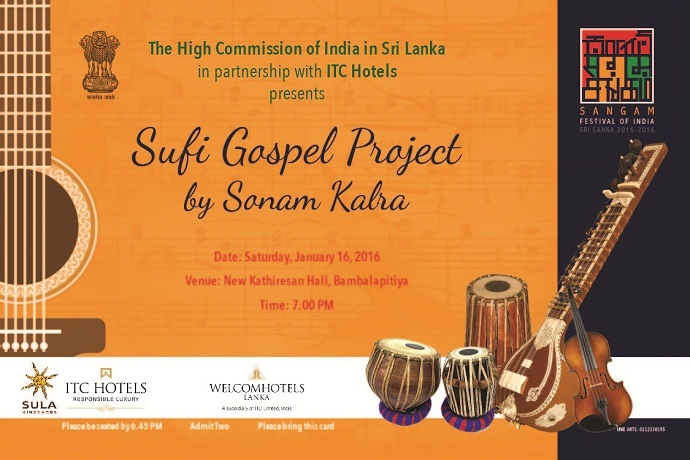 Presently he is on the advisory board of TAMASHA - A Sri Lankan organization promotes classical music. Mr. Illesinghe has presented several solo performances in Sri Lanka and abroad including a performance in March 2005 at the India Habitat Centre, New Delhi . Mr. Illesinghe has been teaching violin since 1998 at the Swami Vivekananda Cultural Centre. Shri Vyasah Kalyasunderam is an well known name in Sri Lanka in the field of Hatha Yoga, relaxation techniques, meditation and various breathing techniques since 1992. He has done his higher yogic studies from world renowned yoga university S-VYASA (Swami Vivekananda Anusandhana Samasthana ) of Bangalore, India.He holds vast experience in the field of child psychology, play therapy and a special trainer on yoga education for children.He has trained more than 1000 students in different part of Sri Lanka and abroad.He is also an expert in different yogic styles and tradition such as Kriya Yoga tradition, Sivananda Yoga, Ashtanga Yoga etc.He has visited Malaysia ,China ,Korea ,India & Turkey to hold yoga sessions and to deliver lectures.He is a visiting academician to Trinco Campus and Gamapaha Wickramracachi Institute of Kelaniya University.He is also the sectary of the ASIAN YOGA THERAPY ASSOCIATION, Singapore and the Director of Ashtanka Yoga Mandhir, Colombo.